Families are required to complete a new application each school year, unless you have received a letter of notification that your child was directly certified for the 2018-2019 school year. 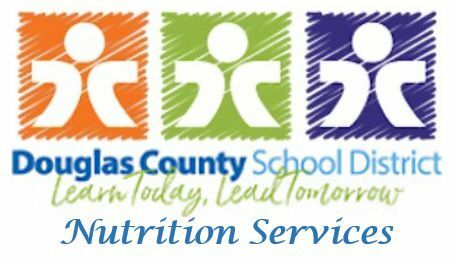 If your child received meal benefits for the 2017-2018 school year with Douglas County School District, meal benefits will continue for up to 30 days, allowing parents to reapply for benefits in the 2018-2019 school year. A new application must be submitted and approved by the expiration of the carryover date. Please note that students submitting an application will need to bring money or a lunch until the application has been processed and approved. Please allow for ten business days from the day the application is received at Douglas County School District, Nutrition Services in Castle Rock, for processing. Please apply online at http://www.myschoolapps.com. If you are in need of a paper application, please contact your school bookkeeper or Susan Babineau at 303-387-0368. All applications are available in both English and Spanish. If another language is needed, contact Susan Babineau. If approved for meal benefits, and the release to share information for Medicaid or school fees (transportation, books fees, and athletics fees) was NOT elected on the application and you would like to share this information, please complete the Information Release form which can be found by clicking on the Free & Reduced tab above and choosing the tab: Information Release and send it to Susan.Babineau@dcsdk12.org. Some charter schools have alternative policies regarding transportation fees. Please check with your individual school to see the policy on transportation fees. For information regarding Immigrant and Refugee Status applications, please click HERE. Para obtener información sobre las solicitudes de Inmigrante y Estado de Refugiado, haga clic AQUÍ.